Monday, January 16, 1837.Vandalia, IL. 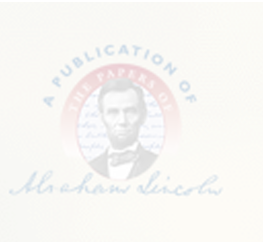 Lincoln presents petition and remonstrance against relocation of part of state road from Springfield to Lewiston, and petition on Beardstown and Sangamon Canal. Both are referred to Committee on Petitions. In joint session, legislature elects auditor, treasurer, attorney general, public printer, and penitentiary warden.House Journal.